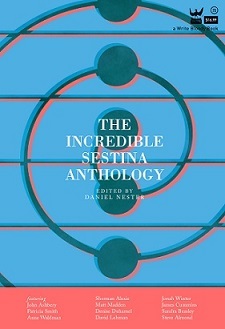 ← Incredible Sestina Anthology goes on the road! 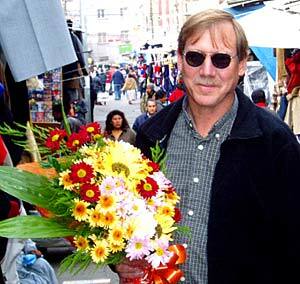 Kent Johnson has authored, edited, or translated nearly thirty collections in some relation to poetry. A Question Mark above the Sun: Documents on the Mystery Surrounding a Famous Poem “by” Frank O’Hara (Punch Press, 2011), named a “Book of the Year” by the Times Literary Supplement, was published in an expanded edition by Starcherone/Dzanc Books in 2012. His translation and annotation of César Vallejo’s only known interview is forthcoming as a chapbook from Ugly Duckling Presse. He lives in Freeport, Illinois. We go Behind the Sestina to talk to the mysterious Kent Johnson about his sestina, “Sestina: Avantforte” featured in The Incredible Sestina Anthology. First of all, I’d like to say that I’m really pleased to be included in this anthology. You know, no, I don’t recall my “first” encounter with the sestina. I probably read a few before I even knew what they were. But now, whenever I see a poem announced as such, I read it. Every sestina seems to contain at least a few wild surprises and jolts. Of course, that’s the thing about the form (any strict form, really, but especially the sestina, maybe): It makes the writer do surprising, jolty things she or he never suspected would come about. That’s almost an unfair question, there are so many poems that are absolute tours de force. But OK, if I were being waterboarded, or something, I’d probably say [John Ashbery’s] “Farm Implements and Rutabagas in a Landscape.” So would lots of people, I suspect. Ha! I should probably skip this question. But I’ll tell the truth. No, “Sestina: Avantforte” is my only one. I have no idea why, really. It probably has to do with the fear of miserably failing on a second try. What was it like writing this sestina? Not trying to dodge the question… But I honestly have a hard time remembering the occasion of composition for any poem I’ve written, except in the most atmospheric ways. I do recall it was a pleasure to write, that it came fairly fast, though of course I had to go back and adjust the lines after the draft to make the end words work and all that. And that I had Lewis Turco’s Book of Forms open when I did that! Your choice of six names from the New York School of Poets–Ashbery, Koch, O’Hara, Schuyler, Guest, Ceravolo–is keeping with the interests/subjects of some of your other work, but it must have made the actual composition of this sestina more difficult. There is nothing more natural, seems to me, than to use names as end words in a sestina that is about the NY School poets. As the poem itself says, most of them “dropped names in their poems like crazy.” I wanted a breezy, insouciant kind of poem, and repeating the names in different patterns enabled that, like little puffs of wind pushing one line into the next. The iterated names helped to make it madcap, too, and I hope funny. I love the epigraph from some correspondence you shared with poet-critic David Shapiro (“O your perfect, vulgate, hairy sestina”). Can you elaborate on this quote, offer some context? Well, I’ve admired the great David Shapiro‘s poetry ever since I encountered it in the library of Pewaukee High School, in Wisconsin, in 1972 or ’73. There was a copy of Poetry Magazine there, and I read his selection, “Poems from Deal.” It impressed me that he was only 18 when he wrote those, as the bio note said (I was 16 or 17, myself, at the time). Anyway, years ago, after writing much poetry myself, I finally got my courage up and wrote Shapiro and told him that I didn’t know if I should profusely thank him or send him a letter bomb in the mail for turning me on to poetry, back then. And so a long correspondence ensued, though in the past couple years we have fallen out of touch, due in part, I think, to a disagreement related to NY School of poetry matters, oddly enough. This hasn’t changed one iota my admiration and good feeling for the man. His quote is weird, isn’t it, in a thrilling way? Thrilling in part because what he means by “hairy” is a total mystery. At least to me. Shapiro’s epigraph is actually my dedication of the poem to him. He knew all the people in there, intimately. This entry was posted in Behind the Sestina and tagged Behind the Sestina, david shapiro, Incredible Sestina Anthology, Kent Johnson, kent johson, Lewis Turco, ny school of poetry, Poetry, Punch Press, Sestina, sestina: avantforte, The Incredible Sestina Anthology, Times Literary Supplement. Bookmark the permalink.